Pyramid Training - What's the Deal? Could you please explain the pyramid training for different zones? 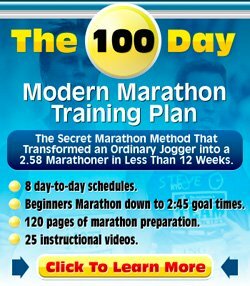 I actually didn't understand the method described on your tempo running page. Thanks for your question about pyramids. Thanks for attaching a photo of yourself; it's always fun to see who I am talking to! In all different kinds of exercise you can do pyramid sessions, whether it is running, biking or swimming for example. The idea is that you use different intensities in a training session. You gradually build up the intensity to a certain highest point, then gradually build it down, as if you were climbing a pyramid, then descending it. You can even increase intensity, decrease intensity, then increase it again. So, the pyramid-workouts I do are time-based. One of my favorites is a 90-minute session which includes some slower running (Zone 1), easy running (Zone 2) and tempo running (Zone 3). This is a good combination of both long running and tough running together. If you are not quite ready for 90 minutes of running, then you can still follow the same principles. You could cut the run above in half by making all the intervals only 5 minutes in length. Always start with slow or easy running and always finish with slow or easy running. Don't think you are Superman. Just because you can do a 90-minute long run, does not mean that the above 90-minute pyramid is a good idea. Build it up gradually. Not quite able to run 30 minutes straight yet? Then don't worry too much about pyramids, heart rate zones etc. Just do slow/easy running and build up your stamina until you are able to run 30-40 minutes. It's best to work on building up your distance first. After that you can start playing with faster running. When you want to include Zone 4 running (= interval running speed) into your pyramids, make sure to do consecutive Zone 4 running for only about 5 minutes. Much longer, especially in long pyramid sessions, is counterproductive. You won't be able to hold the intensity or the speed of Zone 4 running for much longer than 5 minutes. If you do, you are not doing your Zone 4 running fast enough. Tempo running - page which features some of these pyramid sessions. Interval Running - About Zone 4 running and why you should keep these intervals shorter in length. Running Stretches - Finish your workout with a good cooling down via some easy running and a set of running stretches.